When you run out of space, you may want to transfer iTunes library to an external drive or another location. Not necessarily storage a reason to make transfers, you may wish to store your favorite songs and lists to your newly purchased external hard disk or you just wake up and decide to change the location of the songs. 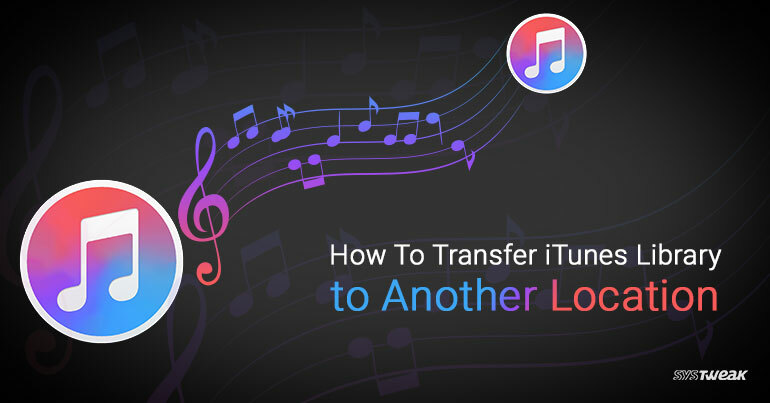 The reason could be anything, but the fact is that you can easily transfer your iTunes library to another location and keep your playlists and song ratings undisturbed. Launch the iTunes application on Mac and choose the Edit menu tab followed by Preferences from the list of options. If it is a Mac version iTunes, click iTunes and select Preferences. Click on Advanced menu tab and make sure that the Keep iTunes Media Folder Organized option must be enabled. If it is not, simply click on the check box against it. Click the Change… button to decide where you wish your iTunes songs should store in future. Navigate to the location where you wish your new folder should locate (using the + icons in Windows) and click on Make New Folder. Name the new folder and click OK. Click OK again to save the changed settings. While consolidating your iTunes library (copy to new location), click the File menu tab and then choose the Library and go to Organize Library… options. If you are using iTunes 8 then the option to select must be Consolidate Library instead. For previous versions of iTunes, click the Advanced menu tab and select Consolidate Library option. Click on the check box next to the Consolidate Files option in the dialog box that appears on the screen. If you are using iTunes 8 or below, then you need to click on the Consolidate button instead. If you see a message asking you if you want iTunes to move and organize your songs, click on Yes. Once all your songs are copied and moved to the new folder, you can delete the original ones. For Windows, the default location is usually the My Music folder. For Mac, this is usually the iTunes Media folder. If you see any iTunes database files ending in .xml or. itl, its recommended to not delete them to be on a safer side. Overall, transferring iTunes Library to another location on Mac or Windows isn’t a tough task. Once you know the correct path to follow, it’s a piece of cake. Though I would suggest having backup handy before performing anything that may lead to data loss.